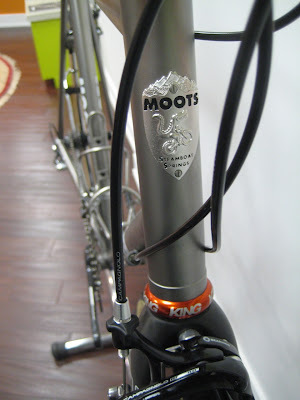 A Moots for Art R.
Just finished up a beautiful new 61cm Moots Vamoots for Art in New York. Enjoy the photos! 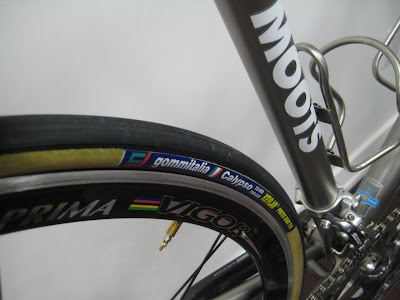 Rolf Vigors mounted with supple Gommitalia Calypso round out the build. 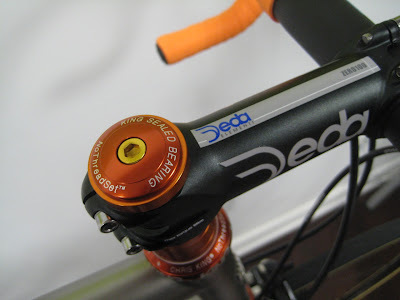 Who can argue with a Chris King headset? 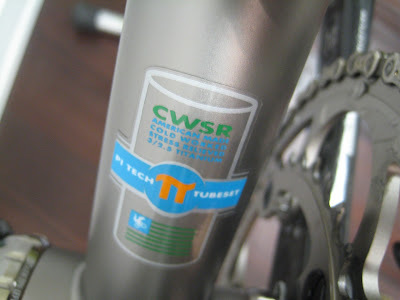 100% "Cold Worked, Stress Relieved" Titanium. 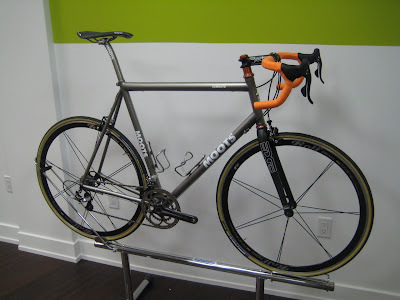 Moots bicycles are proudly hand made in Steamboat Springs, Colorado. 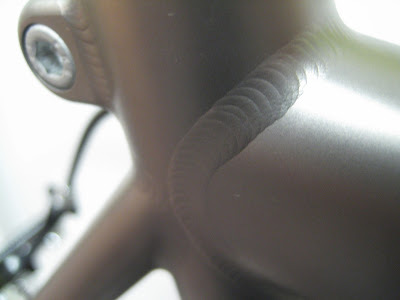 Moots' incredibly smooth welds as well as integrated seatpost collars are two more of our favorite details.